High-grade mineralization with intervals of up to four meters have been found. Goldplay Exploration Ltd. (GPLY:TSX.V; GLYZF:OTCQB) provided additional results from sampling of the historical core drill holes completed in 2010 on the company's San Marcial project in Mexico. 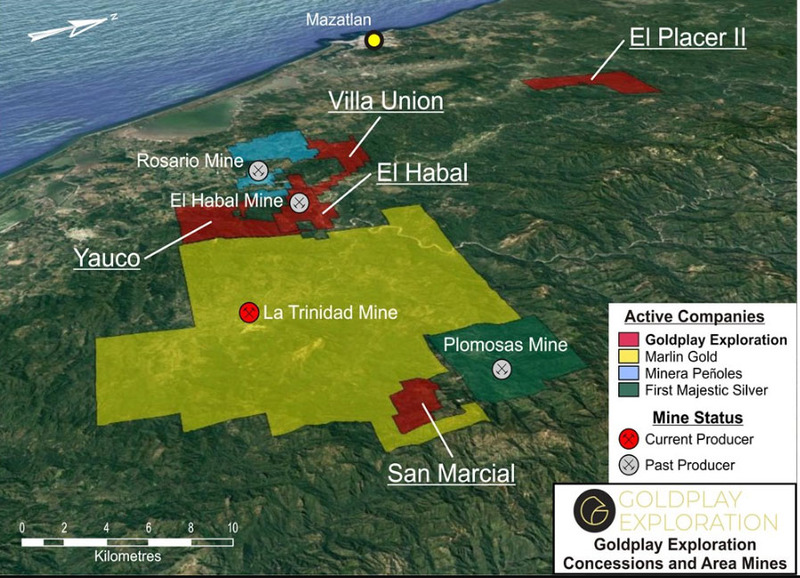 "The Company continues to successfully identify attractive, wide, near surface high-grade mineralized zones defining a near surface target at San Marcial for future project development," stated the company. Results from two additional holes were received. A 4.0 meter intercept from SM-10-08 reported a high-grade zone of 589 g/t Ag eq within a wider 19.0 meter silver mineralized zone. "Consistent high-grade, near surface silver results returned from the sampling of historical holes at the San Marcial Project continue to encourage the Company," said Goldplay president and CEO Marcio Fonseca. "Goldplay's drill core sampling program is advancing rapidly, and an updated resource estimation is scheduled for completion in the December quarter of 2018." The sampling of SM-10-03 and SM-10-08 confirmed high grade intervals within a wide and attractive zone of silver mineralization close to the surface (approximately 100 meters below the surface). "The results provide additional information to extend known mineralization down-dip in the center of the resource area which has potential for open pit development," stated Goldplay. "The company is advancing the drill core sampling program, prioritizing areas with historical drilling not fully sampled in the past and located in areas with evidence of upside potential for resource expansion."